Senior living — or seniors living it up. You make the difference. You’re driven to serve others, especially aging adults as they start a new chapter in life. The difference with today’s senior population is they expect many choices to accommodate their dynamic lifestyle. How they live doesn’t need to change just because of where they live. Aging should be a positive experience. Challenge the status quo in the world of senior living, and help others fulfill their purpose in life while pursuing your own. Develop the skills to lead bravely and redefine service in today’s senior living and long-term care settings. Earn your Bachelor of Science in Senior Living Management online from Maryville University, and learn what it takes to help older adults continue to thrive as they age. Baby boomers have redefined what it means to age. Unlike generations before them, they refuse to stand still. Whether it’s traveling to a new country or taking up kickboxing, their active lifestyle keeps them feeling young. But they can’t always keep up physically with the energy of their youthful spirits. That’s why they need customized solutions to continue living life without missing a beat. Because they’re looking for more than top-notch amenities — they’re ready to make new memories. This is where your degree in senior living management can make all the difference. Benefit from streamlined admissions. Apply with no entrance exams, no fees, and choose from three start dates. Professional, practical. Complete a practicum in your desired setting and benefit from coursework designed to align with the National Association of Long-Term Care Administrator Boards’ (NAB) 5 Domains of Practice. What can you do with an online Bachelor of Science in Senior Living Management? Americans are living longer, healthier lives. Nearly 100 million Americans will be 65 or older by 2060. * And as the aging population grows, so does the opportunity for you to shape the next generation of senior living. Let’s shape it together. Your online bachelor’s from Maryville will teach you what it takes to manage the day-to-day operations in a variety of senior living settings. You’ll develop leadership skills for roles in admissions, sales, marketing, finance, hospitality services, operations, planning, general services, and more. But most importantly, you’ll be empowered to create an environment where residents can live fearlessly — and safely. Baby boomers are thriving and so can your career. What’s the market outlook for B.S. in Senior Living Management graduates? While starting salaries will vary based on experience and location, there’s a positive outlook for pay across a variety of roles in senior living management. Assisted living managers report a median salary of $46,607, with the upper quarter of respondents reporting between $57,000 and $69,000. * And nursing home directors report median annual wages around $79,000, with top earners making six-figure salaries. * Median earnings for other leadership roles such as health services manager range between $82,950 and $89,910 — depending on the setting you choose (e.g., nursing and residential care facilities or outpatient centers). ** With your bachelor’s in senior living management, you can qualify to pursue these roles and many more. The aging population continues to drive demand for qualified senior living leaders. And with your bachelor’s in senior living management, you can compete for a wide range of opportunities in a dynamic and evolving industry. In fact, the U.S. Bureau of Labor Statistics estimates that job growth is higher-than-average for health services managers (20%) and social and community managers (18%). Within the assisted living field, the BLS also projects growth of nearly 14% for compliance officers. Senior living management goes beyond traditional leadership roles. Apply your specialized knowledge in a variety of settings; including adult daycare, nutrition management services, activities coordinator, and facility operations and administration. But don’t stop there. Consider launching your career into one of the many emerging roles in the field — like senior move manager, retirement coach, or lifestyle director — and lead the future of modern day senior services. *Salaries based on self-reported data compiled by PayScale.com. **Salary and growth data based on data compiled by the U.S. Bureau of Labor Statistics. Why choose Maryville University’s online senior living management degree? You’re focused on the future. So are we. Consider this: Approximately 10,000 baby boomers turn 65 each day — and roughly 10,000 more will continue to do so every day for the next decade. * It’s a shift that will dramatically impact the country’s demographics. It will also drive innovation and growth in today’s assisted-living and long-term care industry. That’s why it’s an ideal time to earn your bachelor’s in senior living management, 100% online, from Maryville University. *Numbers based on data compiled and reported by Pew Research Center. Our online bachelor’s in senior living management program puts the focus on real-world application — which means you’ll have the chance to assess your knowledge through a capstone project and gain professional experience in your practicum course. We want to make sure you are prepared, so we will work with you on the knowledge and skills required for your practicum, like supporting people as they age across the continuum and creating and managing services. Maryville University was founded in 1872 and has been helping brave, motivated professionals start and enhance their knowledge and careers with industry expertise ever since. Ninety percent of our full-time faculty holds a doctorate or terminal degree. We’re proud of our reputation for quality academics, accelerated growth, and affordability, because it demonstrates our commitment to excellence. We’re recognized for excellence. So you can be, too. How do you become a leader in senior care? Learn from one. When you earn your Bachelor of Science in Senior Living Management online at Maryville, you learn from experienced professionals like Karen Schechter. She knows what it takes to succeed in healthcare administration and senior living management — because she’s been there. For more than 30 years, Professor Schechter has served as a prominent leader in the health services industry and as a valued faculty mentor in Maryville’s healthcare management programs. Her insights on healthcare administration have been published in respected business journals, and she’s regularly asked to share her insights as a guest speaker and subject-matter expert at industry seminars. She’s an inspiring role model — and she’s driven to help students like you challenge the status quo in today’s senior-living industry. Leverage her experience — and broaden your own. 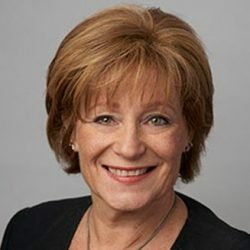 As a seasoned professional with experience at every level in healthcare management, Professor Schechter can help you develop critical career skills in quality performance metrics, strategic planning, population health management, and senior living management. Professor Schechter and the program faculty know how to navigate the modern assisted living landscape and build a successful career in senior living management. Let their collective expertise inform your career in senior living management. Let’s be brave together. The coursework in your online bachelor’s in senior living management degree is built to align with the National Association of Long-Term Care Administrator Boards’ (NAB) 5 Domains of Practice: Customer Care, Support and Services, Finance, Environment, and Management and Leadership. It combines a healthcare management core with specialty courses unique to the senior-living industry, so you’re equipped to manage the next generation of today’s active-adult communities effectively. The program requires that you complete a total of 128 credit hours including required senior living management courses. Build your foundation in healthcare management. Complete courses in healthcare operations, health informatics, communications, financial management, and population health management. Gain specialized skills in senior living management. Study the specifics of assisted-living and senior-housing policies, operations, and management. Explore relevant topics such as the changing face of aging in a multicultural society, the politics of aging, and leadership in senior living. Put your knowledge to work. Work on your schedule to complete a practicum in your preferred local setting. Benefit from coursework designed to align with the National Association of Long Term Care Administrative Board’s (NAB) 5 Domains of Practice (Customer Care, Support and Services, Finance, Environment, and Management and Leadership). Apply your knowledge in the program’s capstone course. This type of hands-on experience lets you see how what you’re learning in the classroom translates to the real world. There’s more to your senior living management major. Your Bachelor of Science in Senior Living Management can serve as the springboard for a long-lasting career in healthcare administration and leadership. It’s the reason we designed this program to support your continued education in our online graduate programs. Maryville’s Early Access program allows you to earn up to 12 credits toward your master’s degree. We only require that you’re a current Maryville undergraduate student, you’ve completed 100 credit hours or more, and you hold a GPA of 3.3 or better. Master of Health Administration (MHA), with four concentrations: senior services, population management, data management, and healthcare strategies. Master of Business Administration (MBA): Tailor this program to align with your career goals. Select from nine concentrations, including health administration and general management. Master of Science in Management and Leadership: This program is designed to help you prepare for a senior-level management positions in your desired field. Learn more about the online Bachelor of Science in Senior Living Management at Maryville University.